Our very own softball and HVAC extraordinaire, Greg Spence recently participated in a local softball tournament and won! 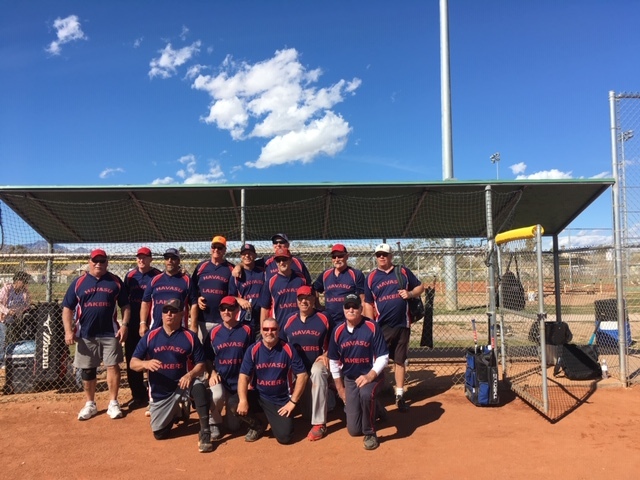 His team competed in the 17th Annual Bullhead City Spring Senior Softball Tournament. They competed against teams from California, Pheonix, Utah, Montana, and Idaho. In the end, Greg’s team, the Havasu Lakers, took home the trophy. Greg Spence is one of our valued HVAC technicians here at Air Control Home Services. So, whether you need a new heat pump or a home run, you can count on Greg!